When choosing ARQUIMM SCP, a company headed by Ignacio Muñoz Motilla, Architect, you are choosing professionalism, commitment and seriousness. 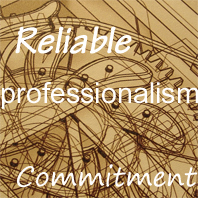 Professionalism with a professional career since 1993, as an Architect. Commitment, because it holds up over time a professional who does not respond to your orders, tasks, projects … Giving judgment and responsible answers from experience. Seriousness, because we do not promise the impossible, or “sell” you will be free of problems. Emerging problems will be solved in the best way. WEB Design: Creation, Design, Maintenance, Hosting, Community Management. Secondary Teaching: Both Spanish, British and International Teaching skills. Please click on our extensive curriculum in each of the fields in which we work. Contact us and make an appointment without obligation to get the tranquility you expect from a prestigious professional company dominating the field in which it moves.